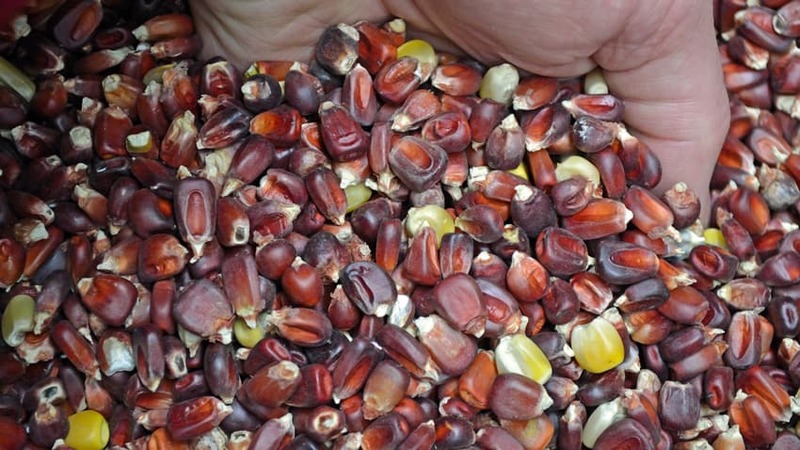 Heirloom corn is one of our oldest domesticated foods, feeding us for an estimated 7,000 years. Originating in Mexico, this cultivated grass is highly versatile and adaptable, providing so much more than simply food for our lives today. Corn is ubiquitous, appearing in almost everything we use – from food, to fuel, to fiber, to medicine, to whiskey, and many more items. 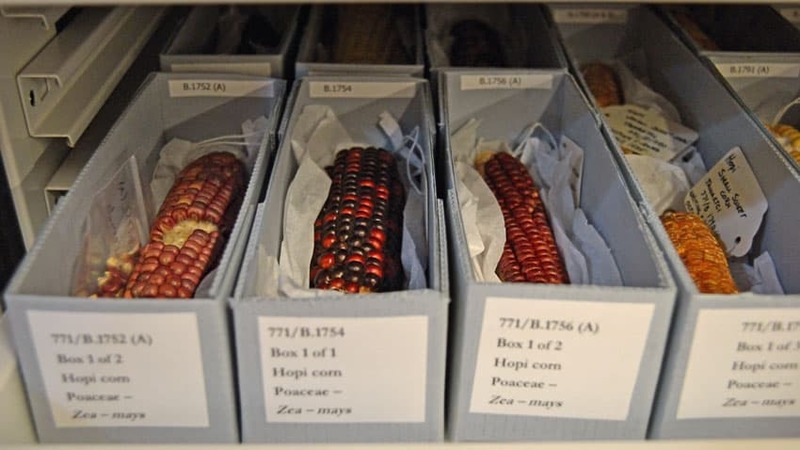 When we think of corn today, we usually think of a uniform bright yellow row of kernels on a fat cob of sweet corn, but that’s only the modern face of this ancient and revered food. 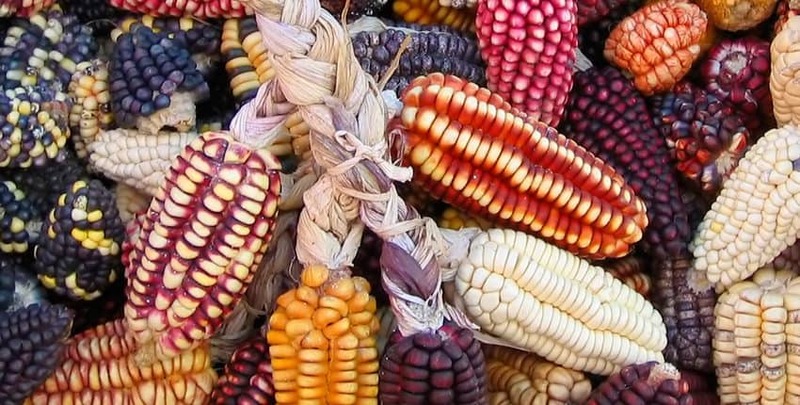 Tribes in Mexico still grow hundreds of varieties of corn each year and call themselves people of the corn. When we shared a photo from a Peruvian corn display on our Facebook page, it had lots of “likes”. 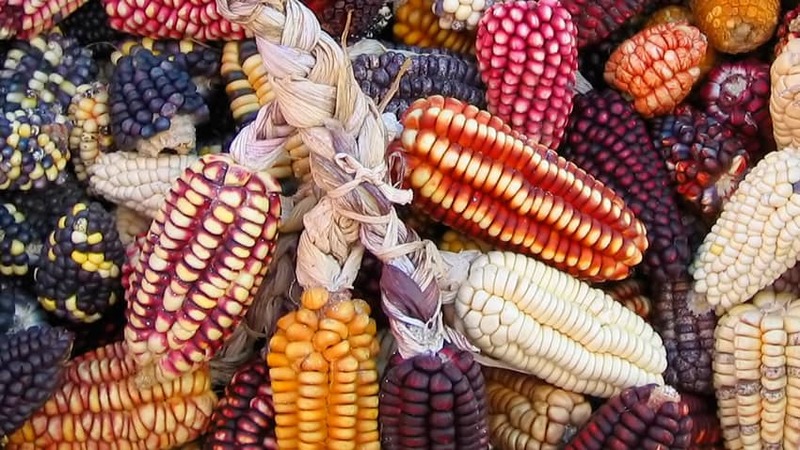 It showed a rainbow of shapes, sizes, and colors like these Peruvian varieties and made us wonder how many gardeners who liked the photo were growing some of their own corn this season. 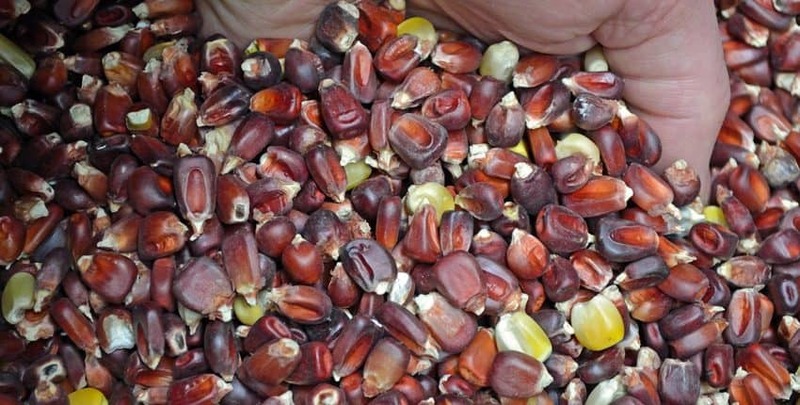 Peru grows more than 55 varieties of corn and indigenous Mexicans identify with around 60 varieties. In the hills to the east of Oaxaca, Mexico the farmers have grown corn for centuries, maintaining the varieties they consider sacred to their people. 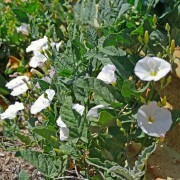 They have numerous small fields, each growing a single variety, tucked into hills and little pockets that are used only for one special dish during a specific feast day or holiday. This is one of the reasons they consider themselves to be “people of the corn”. It seems like everyone likes to eat corn but fewer American gardeners are growing it, depending on others to grow, transport, and market it. This creates a problem for all gardeners, but it’s one we can fix. This is a perfect example where one person makes a difference, one garden at a time. 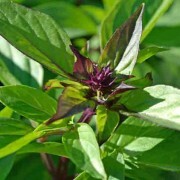 I want to take you on a short tour of a few of the unique and delicious varieties we offer, with a little about each one. Maybe you’ll feel inspired to try something new in your garden this season! Bloody Butcher has an unusual name with an equally unusual story. 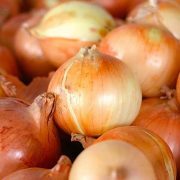 The Meadows family in West Virginia has maintained this variety since the late 1800s, with family history tracing its origins back earlier. 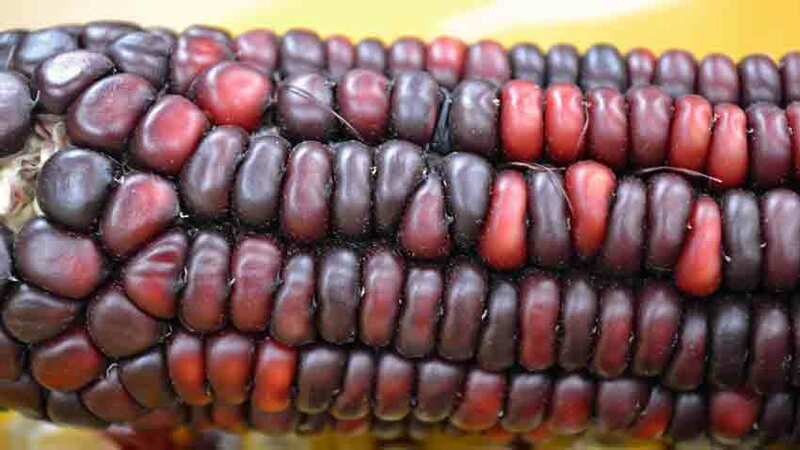 The common description is of a blood-red corn originating in the 1800s by the mixing of Native American corn with white settler’s seed. There is more to the story, however! 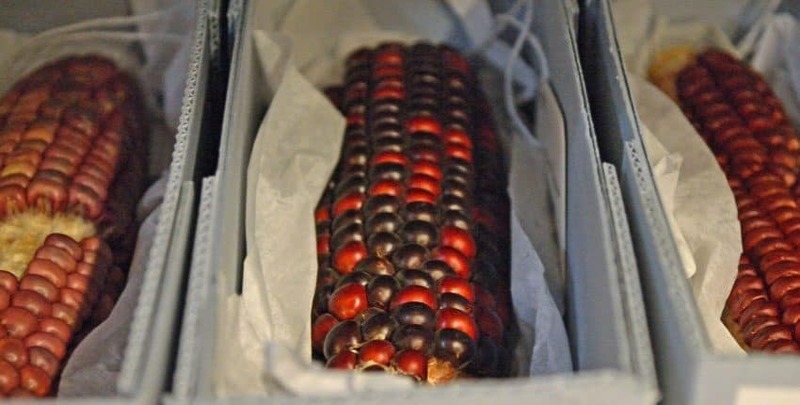 The origin of the seed seems to be when Betsey Gibson escaped her capture by Native Americans in the early 1800s, bringing the seeds of what became known as Bloody Butcher with her. That corn kept her grand-daughter Ebby alive through some tough times, as well as Ebby’s son’s and grandson’s families through the Depression. They still grow it every year today and claim it makes the absolute best cornbread. Bloody Butcher is now a recognized treasure from the Appalachia region, used to make a regionally celebrated polenta, distinctive cornbread, and even a Kentucky Bourbon. This is a “dent” type, meaning it’s not a sweet, fresh-eating corn. Dent corn gets its name from the distinctive dent that appears in the top of the kernel as it dries. 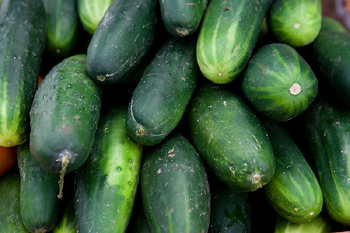 It has higher protein and lower starch and sugars than sweet corn, making amazing cornbread or pancakes. 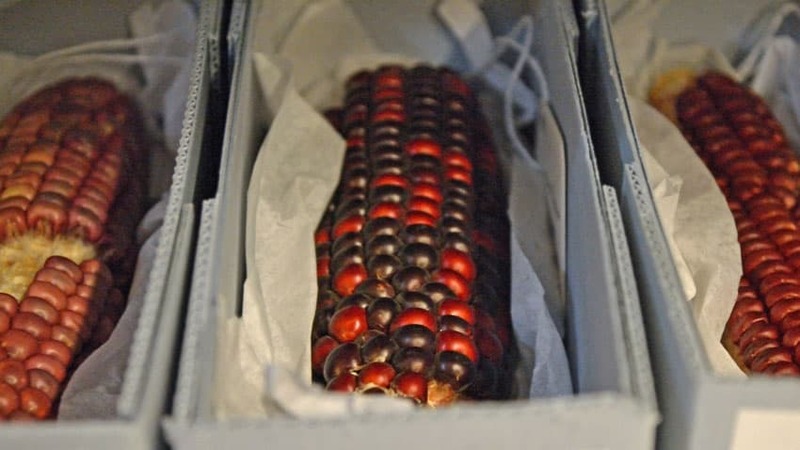 Native American corn grows in many colors, which have special meanings. Each color corresponds to the cardinal directions – blue for north, red for south, yellow for west and white for east. White corn goes into traditional bread or is slow-roasted on coals buried underground or in mud ovens. 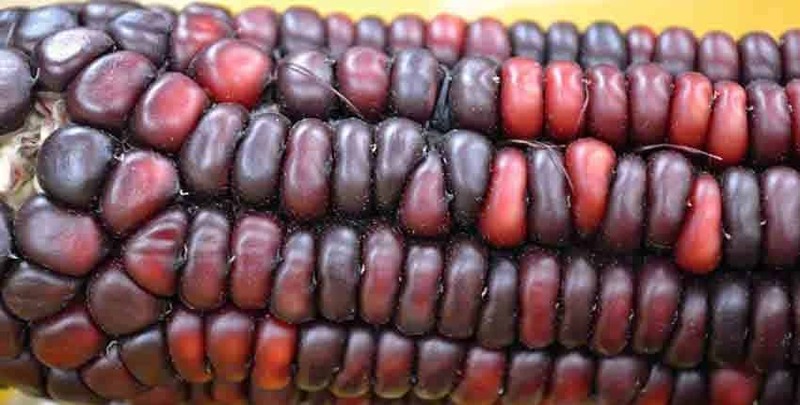 Young women’s ceremonials use red corn, while yellow corn is for weddings. 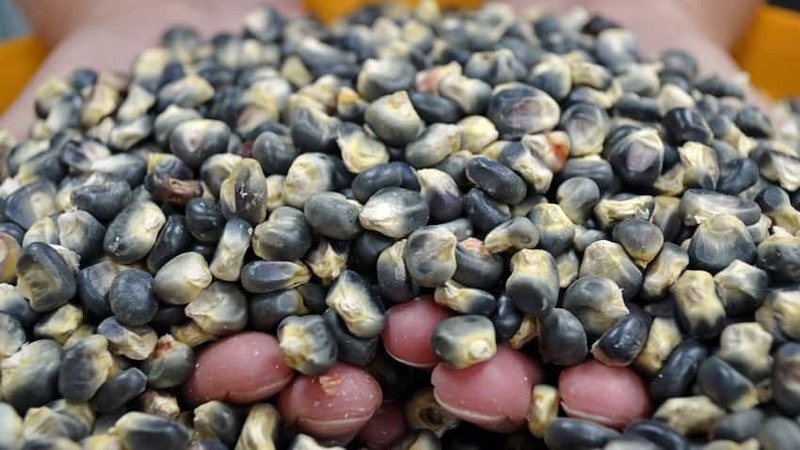 Blue corn is sacred and held in high esteem by most of the Southwest Native American tribes. Historians believe the Hopi bred it from the ancestral varieties migrating through trade from Central America some 5,000 years ago. 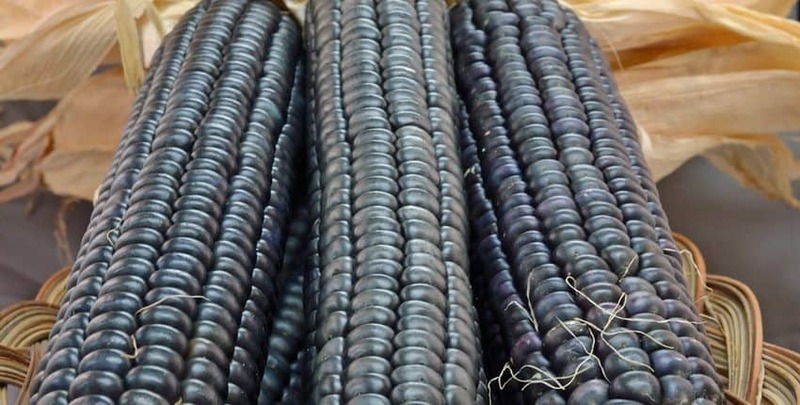 The Hopi language has many words for blue corn, based on the different shades and uses. 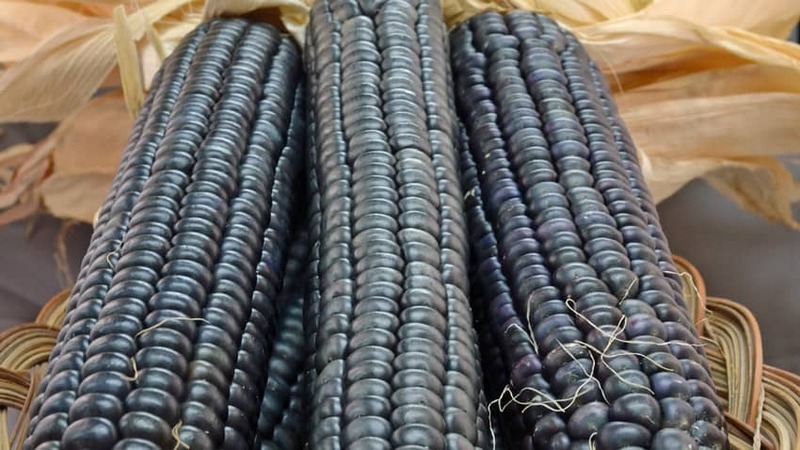 Blue corn is a key ingredient in many foods, some familiar like chips, pancakes, corn cakes, and cornbread, while others are newer innovations like bourbon. This is a “flint” type, named for its hard texture once dried. 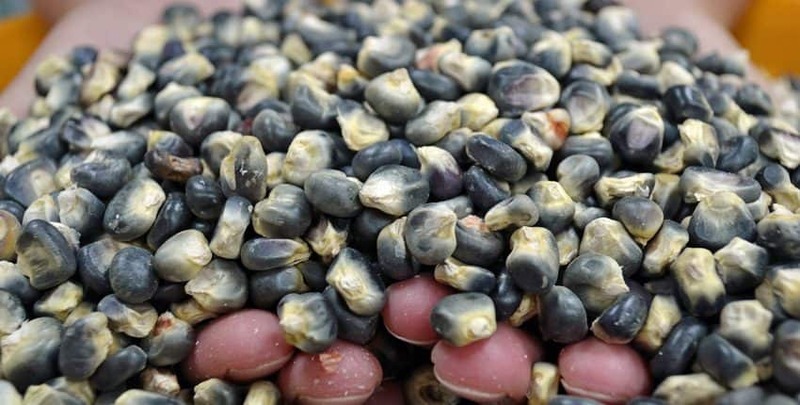 It has less soft starch than dent corn and a hearty nature with a higher nutrient value. Traditional Italian polenta uses flint corn and most popcorn is a flint type. Navajo and Hopi roast the young corn in its “milk” stage when it is still sweet. 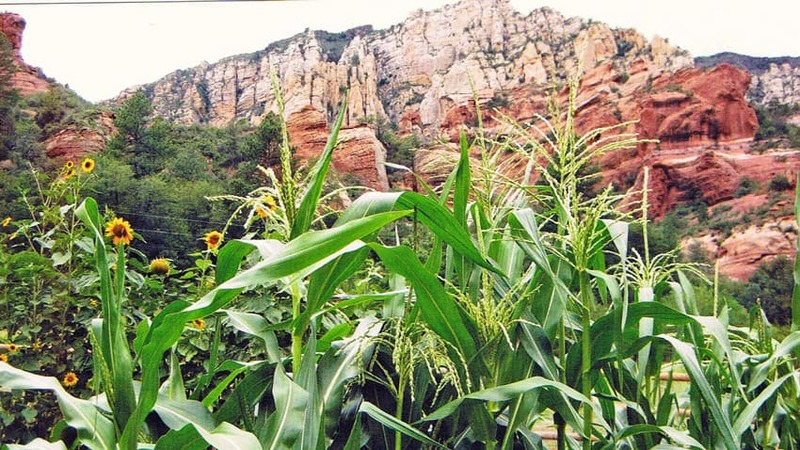 What happens when corn isn’t grown and kept alive in its natural state? 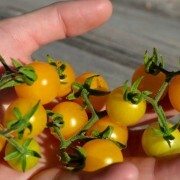 First, it becomes a curiosity or novelty, grown for the colors or decorative qualities. Think about the “Indian corn” you see every fall, beloved by interior decorators for the bright colors and rustic feel it contributes. 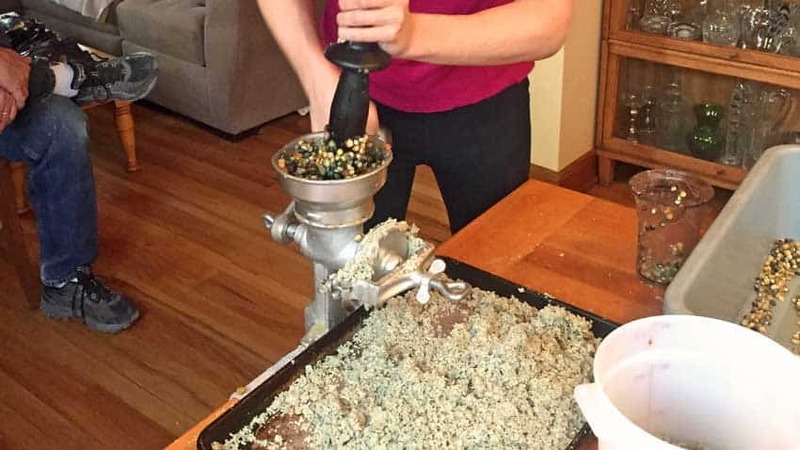 No one eats that corn anymore. If it isn’t really popular as a novelty or decoration, then it might wind up stored in a museum as a piece of documentary evidence of how life was lived at a certain time in a certain place. 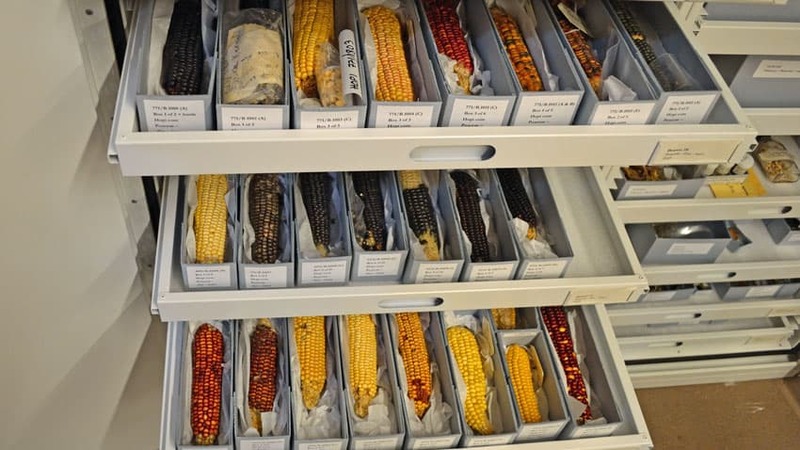 The ears in the photo above are in an herbarium, or documentary storage at the Museum of Northern Arizona, showing how the cobs and kernels of particular varieties of corn looked when they were grown. Some of these cobs date from the early 1900s. 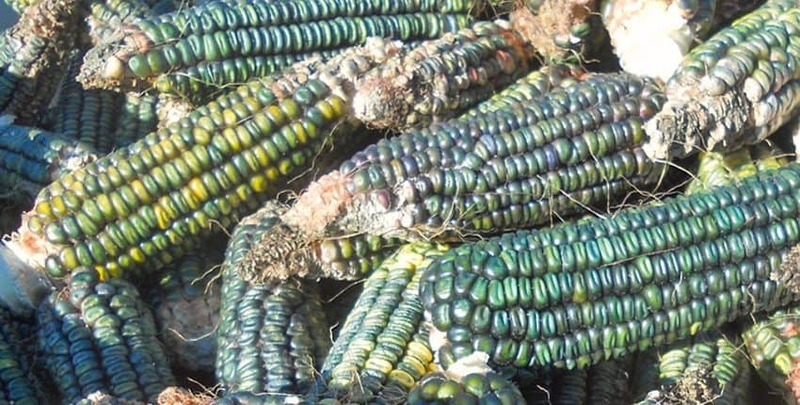 If these varieties haven’t been grown out elsewhere, then they are most likely lost, as these ears of corn are dead and can’t grow after being stored for so long. 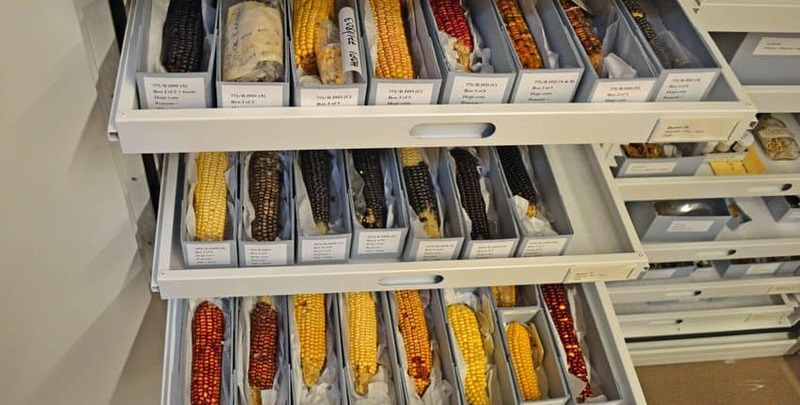 These are all samples from the Hopi and Navajo reservations – the colors and varieties are intriguing. 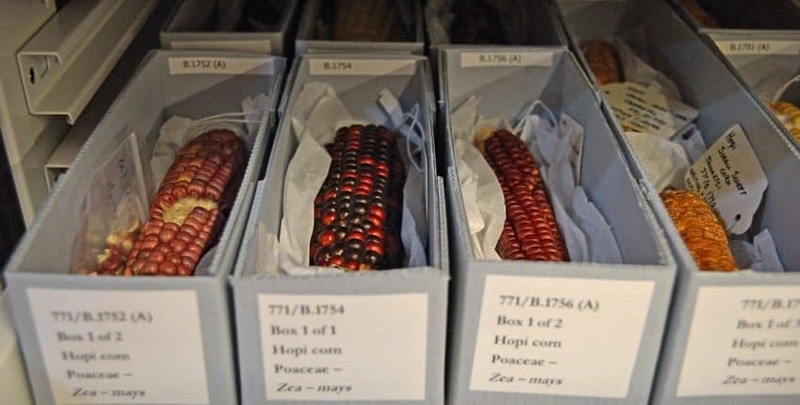 There are eight varieties of blue corn in just these three drawers. A closer look shows the color variations among the ears. The flavors would be just as varied as the colors, and most likely used for different purposes in the life of the tribe. As pretty as these colors are, their only existence shouldn’t be in a specimen box in a museum herbarium as a display of the past. They should be grown, eaten, and enjoyed for the living treasures they are. It would be a travesty if this only place you could see this variety of corn and not be able to taste it anymore. Besides roasting fresh sweet corn, there are many delicious dishes you can make with dent or flint corn. Polenta, cornbread, pancakes, and chips have already been mentioned, but corn that’s been ground into flour or cornmeal is used in many more recipes. 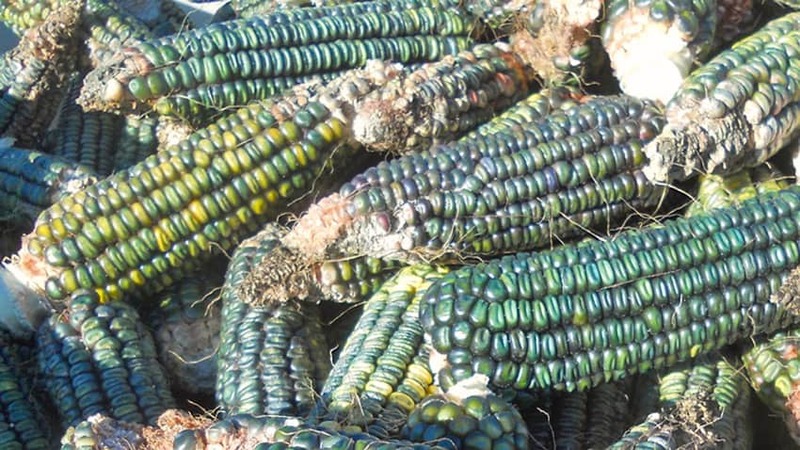 This is Oaxacan green dent corn, from the Oaxaca (wah-HA-ka) area in central Mexico. 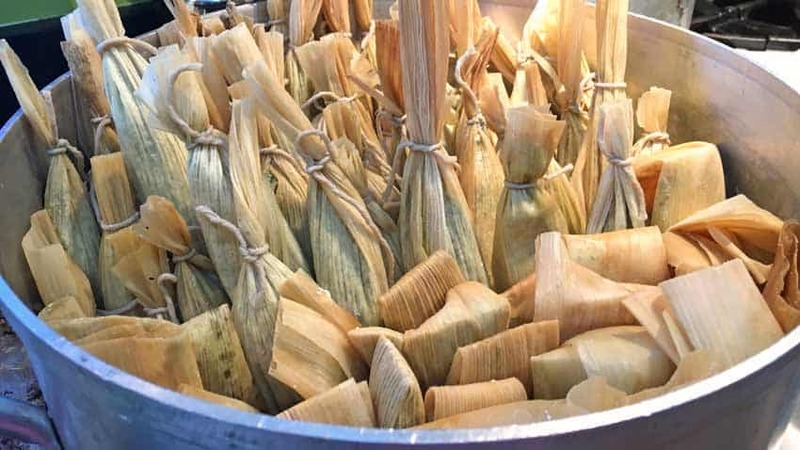 Drought-resistant and very flavorful, it has been grown by the Zapotec for many centuries and is the key ingredient in green corn tamales, a beloved regional treat. 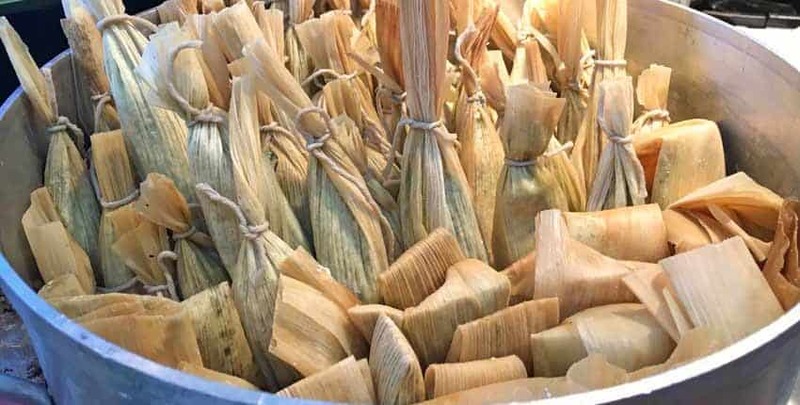 Oaxacan green corn tamales are made from green dent corn that has been lightly dried until the kernels are loose, then ground into masa to make the tamales, giving them a unique earthy, herbaceous flavor. American green corn tamales typically use regular yellow corn masa with green chiles – a much different flavor! While you can buy instant masa at most supermarkets, fresh masa has an unparalleled sweet richness. 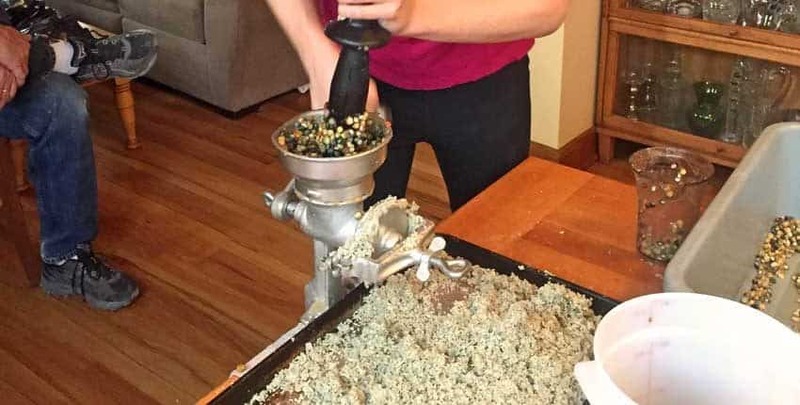 Our friend Andy makes an annual fall tamale dinner for the Denver, CO area Slow Food group. The tamales are filled and cooked by steaming. The green colors are peeking out from underneath the husk wrappers, waiting to surprise diners with their wonderful flavors! We’ve shown you some delicious heirloom corn varieties, a little bit of their history & how to use them, what happens when we stop growing corn and how to prevent that – now it’s your turn! You don’t need a large plot to grow a little corn – a 5-foot square will do nicely. Corn produces best growing in a block, instead of a row because it is wind-pollinated. 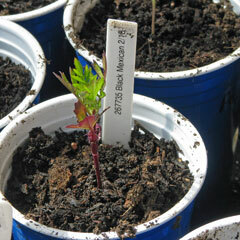 As with most gardening, start small and get some experience before trying to grow enough to feed the neighborhood! For further inspiration and to see how easy it can be to make your own fresh masa, here’s an article from Saveur magazine to get you started.